WHAT IS SHAH RUKH KHAN DOING IN SALMAN KHAN’S TUBELIGHT TEASER? 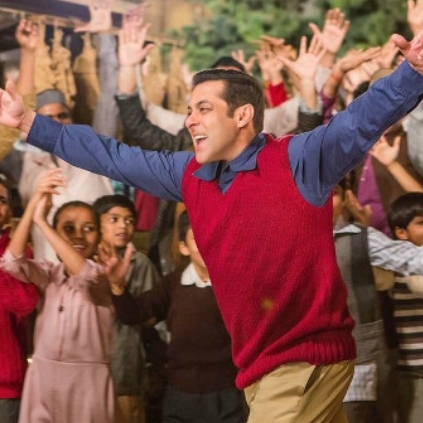 Salman Khan's much-expected film 'Tubelight' teaser was released yesterday. The teaser revealed the backdrop of the film which is set in 1962, Indo-China war. It looks like the film would portray the sufferings of villagers around the war field. It will also mark the comeback of Sohail Khan and Salman Khan. Not many would have identified Shah Rukh Khan's appearance in Tubelight teaser. It is reported at 0.47 minutes in it, a magician blows the fire out of his mouth, and that is said to be none other than Shah Rukh Khan himself, though it is hard to spot him in the particular frame. Now, we will have to wait and see if we can watch both Shah Rukh and Salman in a single frame in Tubelight. If that comes true, then this Eid would be an unforgettable day for both Shah Rukh Khan and Salman Khan fans. People looking for online information on Salman Khan, Shah Rukh Khan, Tubelight Hindi will find this news story useful.